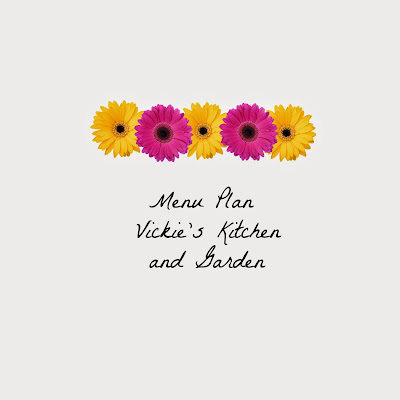 Vickie's Kitchen and Garden: Menu Plan for this Week 10/2/17! Menu Plan for this Week 10/2/17! No jury duty service this past week! I was so happy. I will gratefully do my service if they pick me but it's a relief when they don't. My cookbook broke and I'm rewriting my recipes in to a new one. I came across potato soup and it sounds so good. I can just imagine how good it will taste with those new potatoes we dug out of the garden. When the husband brings in frozen steak he found in the freezer, let him fire up the grill then quickly change the menu!